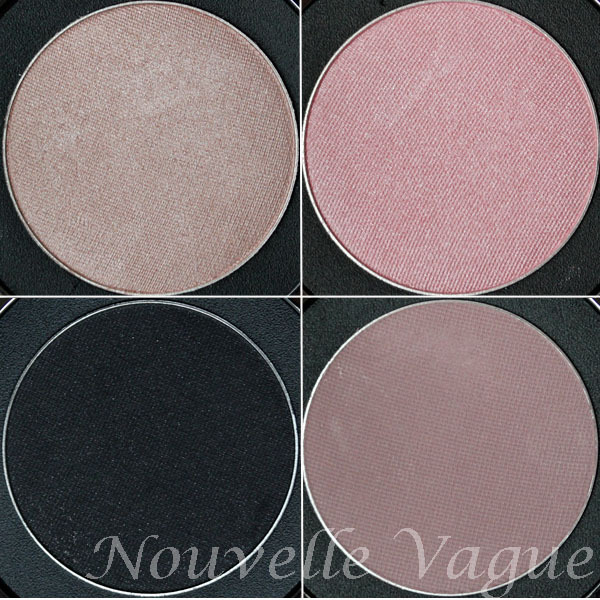 I have the full list of the entire upcoming Le Métier de Beauté Fall 2012 Nouvelle Vague collection, but for now, a sneak peek at the eye kaleidoscope. On first glance, I was a little crestfallen to see the first three shades so similar to each other. However, I'll reserve my doubts until after I've had time to play with it. That said, the black shade (Fin) in the eye kit did jump out at me. 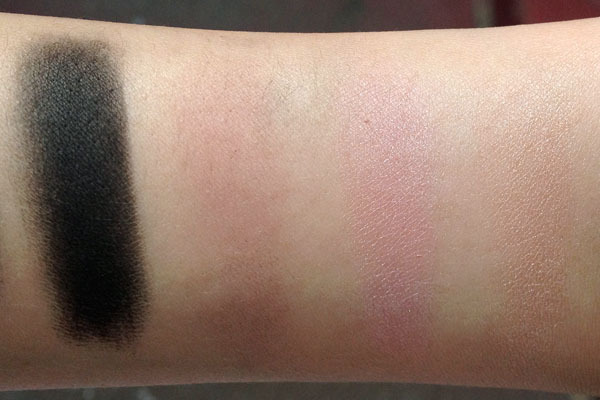 I have never seen such a pigmented black eyeshadow before. My fingers barely brushed the surface of the shadow and came up sooty. It was like touching charcoal, but in the best possible way. 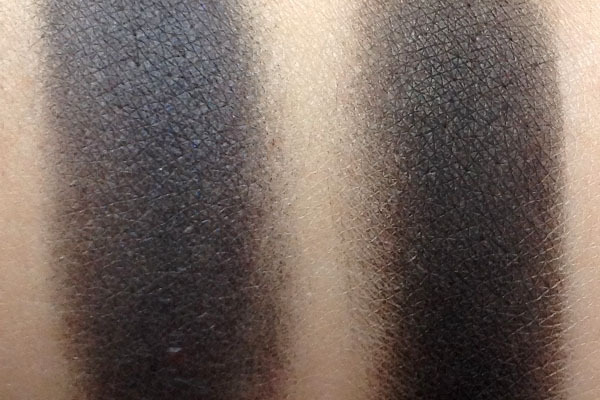 Below, I compared Fin with the blackest shadow I own, Giorgio Armani ETK Intense #13. As you can see, the ETK looks grey in comparison. Le Métier de Beauté Nouvelle Vague Kaleidoscope Eye Kit will retail for the usual $95 and will be available to all existing counters. The full collection will hit stores this October. The product(s) in this post was provided for editorial consideration by the company. The pink do look so similar! Hopefully they don't get all muddled on the eye. Can hardly wait to see it on you Cheekz! The kaleidoscope is so pretty! A very French feel. I think these shades will work well on me, since pink eyes seem to suit me (see my LMdB Golden Gate Girl look). Each shade also has a different texture, so perhaps that will be sufficient to distinguish them. What pencil will you use for a liner? Hmm. I was a little disappointed when I saw the similar pinks. On the other hand, like, Leigh, I wear pink eyeshadow very well and I think I would get a lot of use out of all the shades. Even though it doesn't have the immediate "wow! colors" effect of some of the previous kaleidoscopes, I think it'll be a great everyday kit. I do want to get their eye kit. But obviously I missed those neutral colors ): Pink on me will be a disaster, but the mauve color is pretty! OH MY GOSH--yes yes yes! 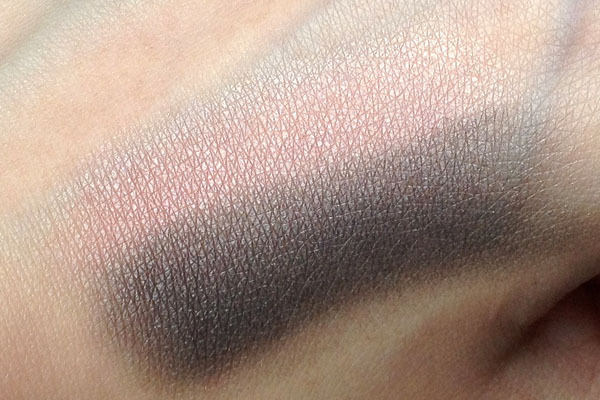 I LOOOVE greyish-mauves and minky browns. This is the first LMdB Kaleidoscope Eye palette that I've become this obsessed about. Love it! I can't decide if I really love this or if it's way too similar and boring. *ponders* I think I'm going to skip it, although if anyone has suggestions for "My First Eye Kaleidoscope" I'd love to hear it? I was actually looking for soft pink/mauve eyes for this fall. Thanks for pointing me in the direction of something to try. Haha this kit has the same name as a chanel polish that I have (which is pastel blue)so when I saw the title of your post, i was expecting blues!! Not sure how I feel about this kit at all, on my skintone, the first three tiers would hardly show up. 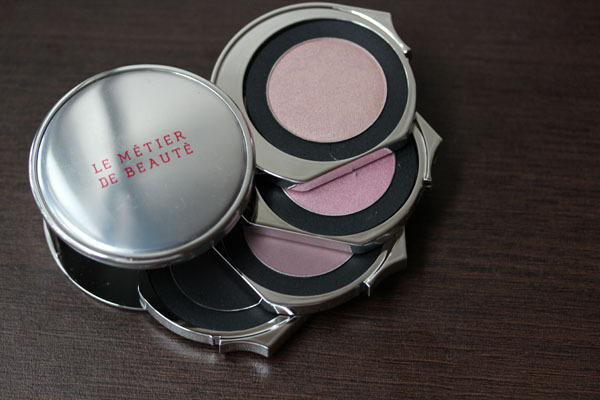 This is so different than the usual hot cool crazy combos we see from Le Metier de Beaute that work magic. I am interested to see how this looks in use. Thanks for the peak! Anonymous- So far I just use the black shadow as my liner shade. Any regular black liner will work, though. Kit- Yeap! It's very light and definitely daytime friendly. Little- it's not scarily pink when layered! ANDABRI- With the black it does turn into a beautiful smokey eye. I haven't tried them as a blush yet, but I definitely can see it working! rebecca- unfortunately since kaleidoscopes are seasonal it'll be difficult to suggest one that's still available :( I think Splendid Frost was their best ever but it's virtually impossible to track it down anymore. Morzelz- It's a slippery slope, young hobbit. A Girl's Guide- I wish! Kate MacDonald- such pressure! To be completely honest, this kaleidoscope didn't blow me away but that's an unfair assessment to people who can't actually acquire the kaleidoscopes I'm comparing it to (my peeve is mostly that the first three shades don't 'change' as much when you layer them on top of each other). I definitely can see this becoming a workhorse for some people. It's light enough for daytime and all you have to do to transition into the night is layer on the black shade. If these are colors you love and will wear, it's not a shabby first kaleidoscope. LuckyLisa- but Pallid Incandescents is so pretty! I feel okay about this kit. It's different from the ones I own, which is nice, but as I mentioned in earlier comments, the nuances between the three pinks disappears on my skintone.